Eric Abidal complacent about the former club-mate Lionel Messi. 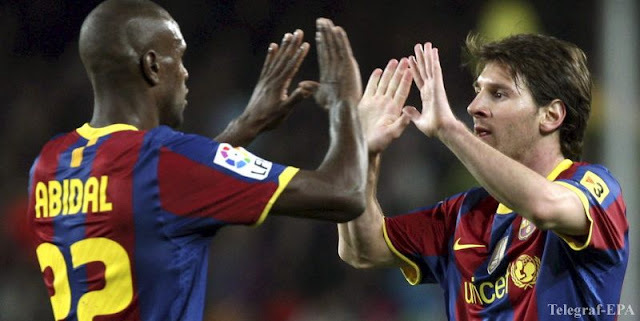 Ex-midfielder "Barcelona" Eric Abidal, now the ambassador of the blue-garnet, in an interview with Sport.es flattered about the former club-mate Lionel Messi. "About Messi was much said, but let people know that Messi - the most modest star that I have ever seen," - said Abidal. Eric Abidal played for "Barcelona" from 2007 to 2013. As part of the Catalan club, he won four times the championship of Spain, twice the Cup of the country, three times the Spanish Super Cup, two times the Champions League, the UEFA Super Cup and the club world championship. 0 Response to "Abidal: Messi is the most modest star I've ever seen"